If you need a unique identifier in form of a code or an ID number to your employees you can set employee codes. 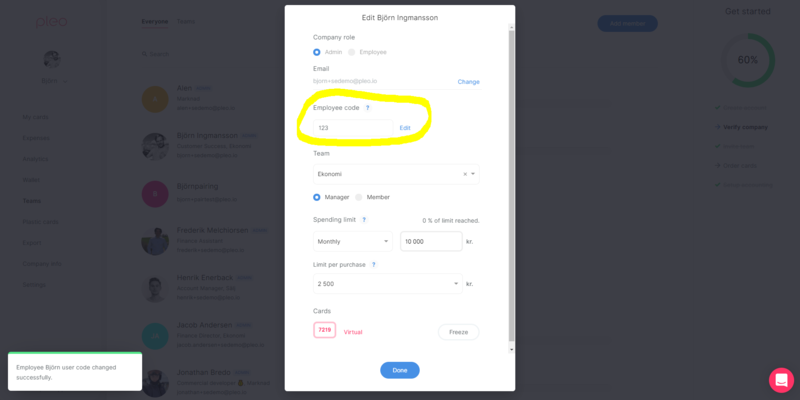 In the pop-up you will find one box for the employee code. When exporting to excel, this employee code will now appear on every expense that relates to the individual members making matching to other applications much more easy.